We live in a world full of colors. Why settle for less than full color on your apparel and promotional products? 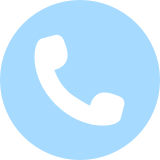 Take advantage of our technology! We’ve invested in both “old” and “new” decoration technologies to be able to give you just what you want. 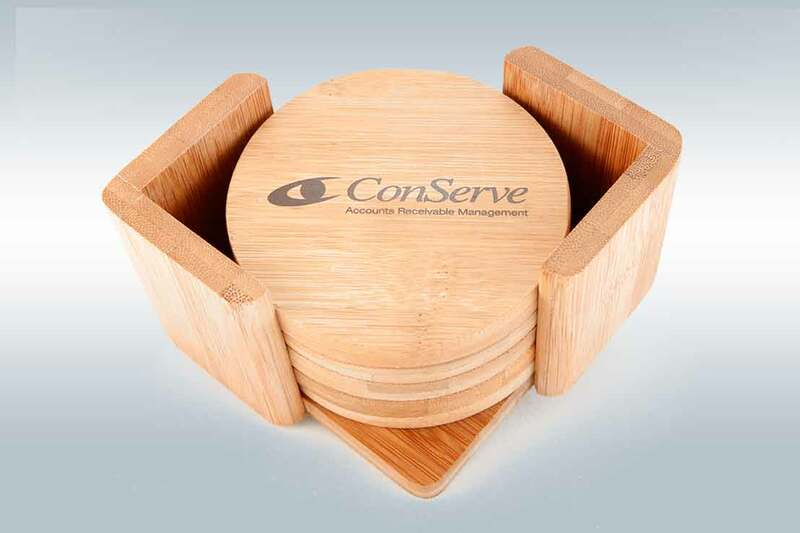 The “new” technology is our UV Inkjet printer—it brought the ideas shown below for the Logo Plates, and engraved-look ConServe Coasters to life. The Heat Seal machine is the “old”. Did you have a sports jersey at some point in your youth with your name on the back? Remember the letters coming off? Heat seal has evolved, now allowing us to decorate apparel in full color in a multitude of locations—and no, it won’t come off! 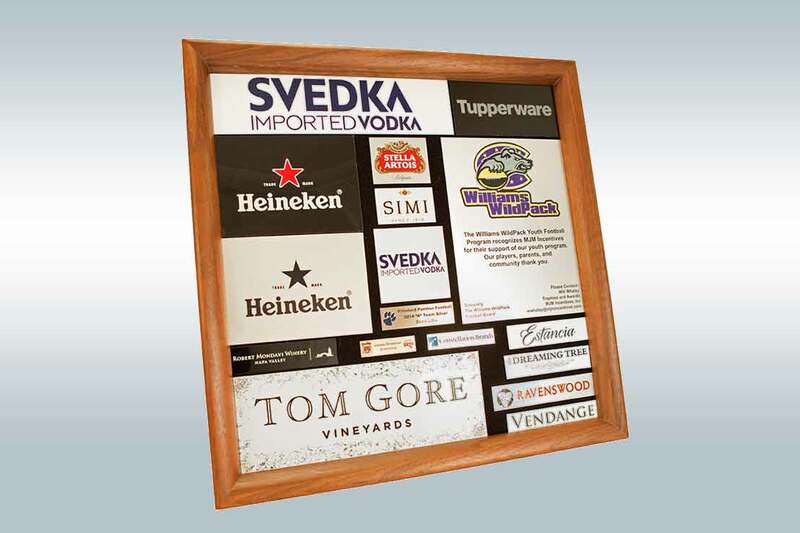 Our UV Printer is the perfect addition to our awards and recognition business. It allows us to add full color graphics on traditionally engraved items for higher impacts. 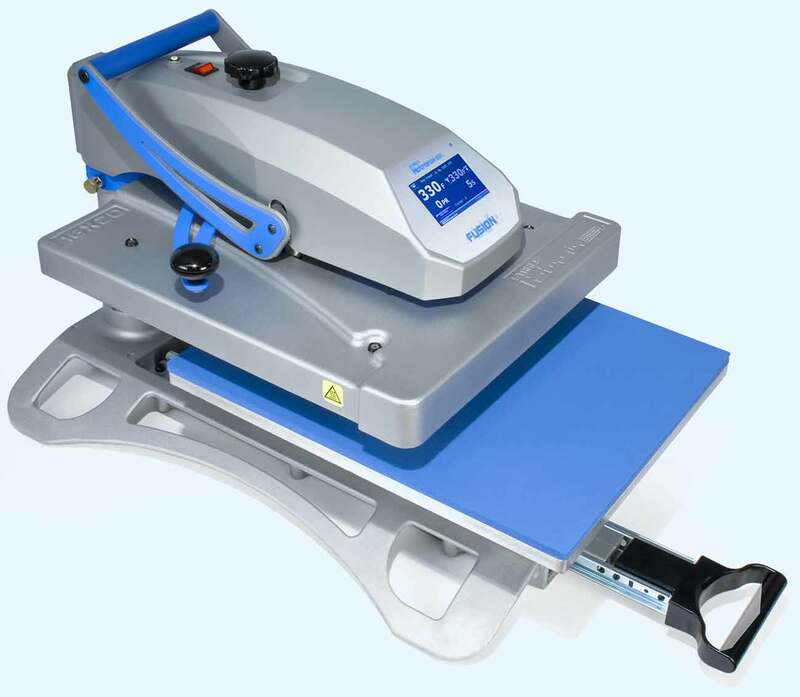 It’s low-heat LED curing system makes this printer ideal for printing electronic devices, including tablets and battery chargers. The print resolution is amazingly high at 1440x720 dpi. The heat transfer process has become increasingly popular among t-shirt manufacturers and screen printers. 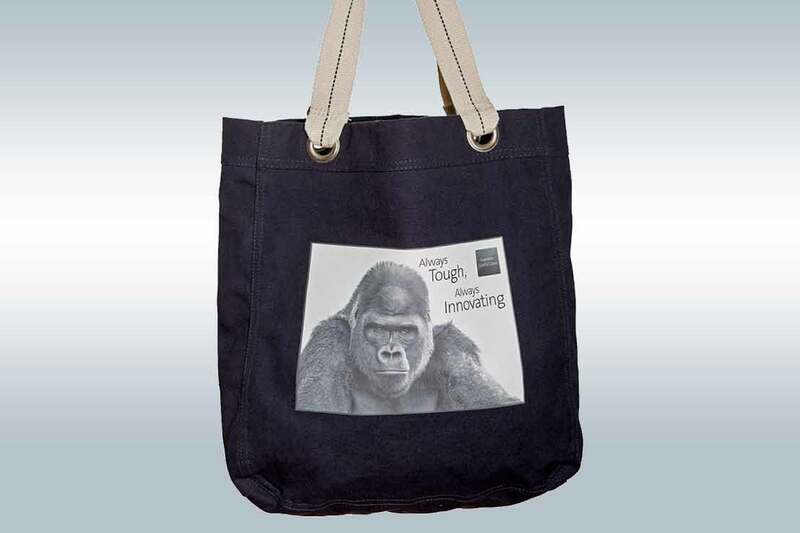 Heat transfer designs are perfect for small and highly customized orders. This process allows us to print shirts quickly and economically without sacrificing quality. The new digital transfers are capable of producing complex, vivid, and full color images at very high image resolutions. In addition to wearables, heat transfers can be applied to any number of products. MJM has applied full color digital transfers to umbrellas, golf flags, camp chairs and numerous other products. 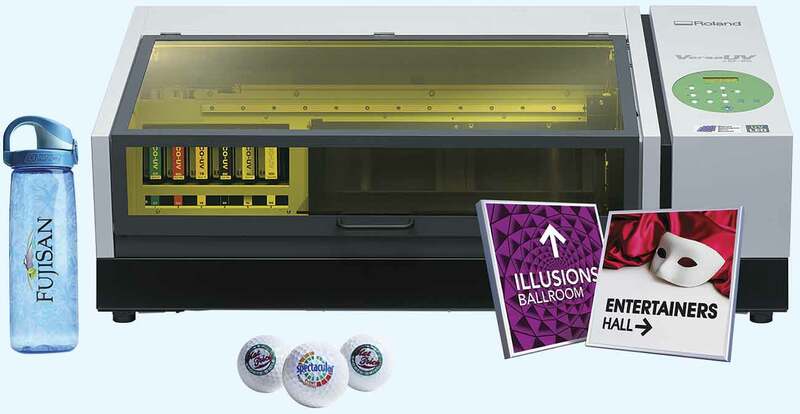 With our UV printer we can provide a multitude of designs and shapes. 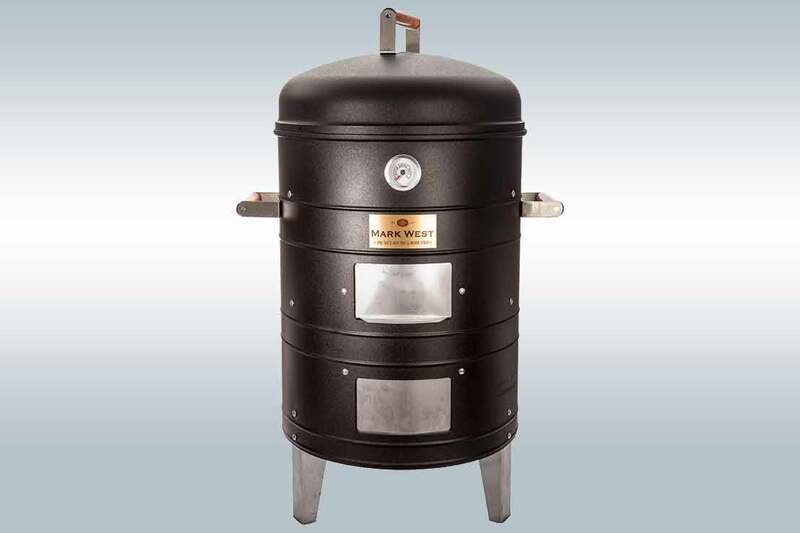 In order to customize this smoker we printed a full bleed over a flexible plate material. The plate for the Mark West logo started out white. A clear coat was laid down over the logo to give it a raised effect. Heat Seal was used to capture all the detail in the Gorilla® Glass image. With our UV Printer we can re-create the look of engraving at a fraction of the cost.